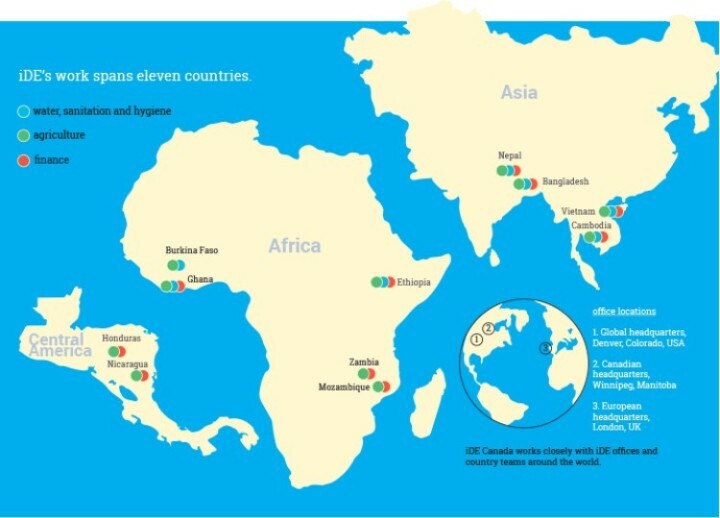 Over the last three decades, iDE has expanded its footprint to engage with local markets in 11 countries: Bangladesh, Burkina Faso, Cambodia, Ethiopia, Ghana, Honduras, Mozambique, Nepal, Nicaragua, Vietnam and Zambia. Everywhere we work, iDE creates business opportunities unique to the communities we serve. Once we start on a project, we commit to staying for as long as it takes to establish agriculture and sanitation businesses that will prosper.